This always used to baffle me. Of all the places that I know and love in Ohio, the southern city of Cincinnati was never in my top 5 – maybe not even in my top 10! But if so many people from outside of Ohio (and outside of the US, even) were visiting Cincinnati, I felt like maybe I was missing something. The city of Cincinnati sits at the confluence of the Licking and Ohio rivers, right across the state line from Kentucky. The city was settled in 1788, and quickly became a “boom town,” growing rapidly in both population and wealth. In fact, by the mid-1800s, Cincinnati was one of the largest and most prosperous cities in America thanks to the steamboat trade and the pork processing it became known for. Cincinnati is home to the first professional baseball team: The Cincinnati Red Stockings (later the Reds) were formed in 1869. Cincinnati was also home to 5 US presidents: William Howard Taft, Rutherford B. Hayes, Ulysses S. Grant, William Henry Harrison, and Benjamin Harrison. The Cincinnati Zoo and Botanical Garden opened in 1875 and is the second-oldest zoo in America. The boom years of Cincinnati faded after the Civil War, and the economic downturn that affected many other rust belt cities 100+ years later hit Cincinnati hard, too. But, just as cities like Pittsburgh and Cleveland and Indianapolis have been turning the tides of their city narratives in recent years, so too is Cincinnati. After admitting that there *must* be something about Cincinnati that I was completely missing, I decided to head down to Ohio's southwestern corner for a long weekend. And the verdict? 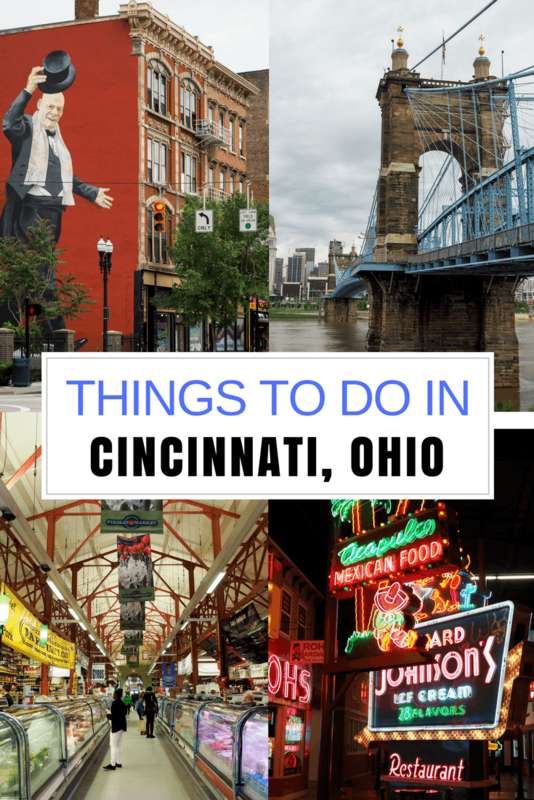 There's definitely more things to do in Cincinnati than I originally realized! During the Civil War (and in the years leading up to it), Cincinnati was a border town in Ohio (a free state) across from Kentucky (a slave state). The city unsurprisingly played a huge role in both abolitionism and the Underground Railroad. 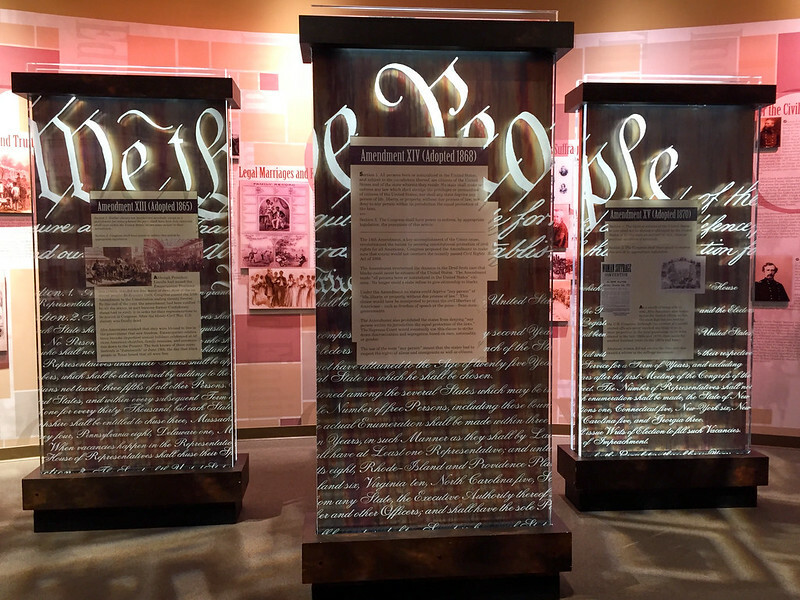 Along with large exhibits on the slave trade in the Americas and the Underground Railroad, the museum also has exhibits on modern-day slavery and the fights for freedom that are ongoing in our world today. 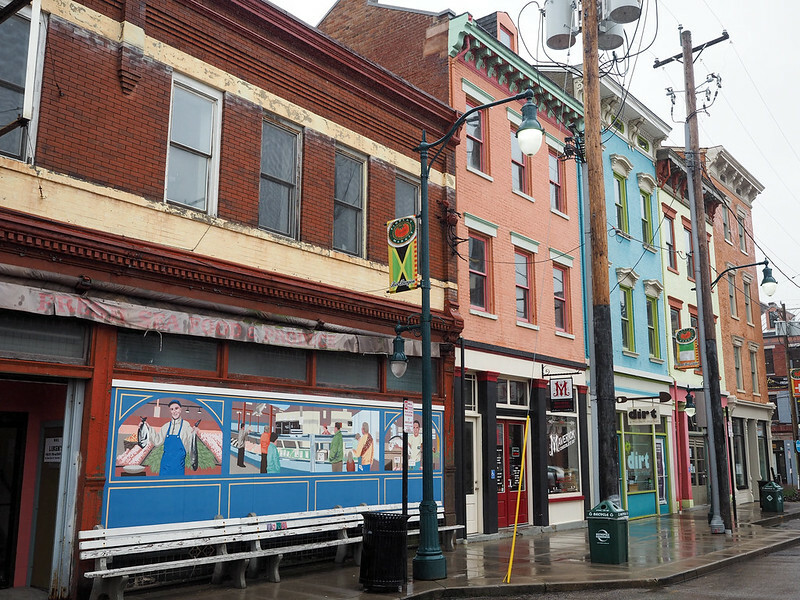 No visit to Cincinnati would be complete without spending some time in the city's Over-the-Rhine neighborhood, where you can experience the city's German influences. My favorite stop in this part of the city is the Findlay Market, which is the city's oldest open-air public market, dating back to 1852. The market building is on the National Register of Historic Places, and inside you'll find fresh produce, meats, and pastries year-round. I'm a huge fan of street art, and it turns out that Cincinnati is a great city for murals. An organization called ArtWorks was tasked by Cincinnati's mayor about a decade ago to create a mural in each of Cincinnati's 52 neighborhoods – and they are well on their way to doing that and more. Even just around the downtown area, you can find all sorts of cool and colorful murals. ArtWorks has of all its murals you can download if you want to see them on your own, or you can join them on a on weekends. If you think the John A. Roebling Suspension Bridge looks familiar, that's because it was designed by the same guy who would go on to build the Brooklyn Bridge in New York City. Cincinnati's Roebling bridge was completed in 1867 and at the time was the longest of its kind anywhere in the world. Today, the bridge connects Cincinnati to the city of Covington, Kentucky. A museum of signs might not immediately sound exciting, but I promise that the in Cincinnati is worth the time and the admission fee. The museum takes visitors through 5 decades of sign-making, from the gold leaf signs of the early 1900s, to the neon signs of the '30s and '40s, to the funky plastic signs of the 1950s. One large room in the museum is set up to look like a 1950s-era main street, completely decked out in all manner of colorful, blinking, and spinning signs. The museum offers free tours Wednesday-Sunday, and even has a working neon shop inside. Of all the things to do in Cincinnati, this is probably my favorite! In 2016, Butler County officially launched the . This “trail” features 10 independent, family-owned donut businesses spread throughout the county. I LOVE this concept – not only does it allow you to eat some delicious donuts that don't come from Dunkin, but it's a fantastic way to promote and support local businesses, some of which have been around for generations. 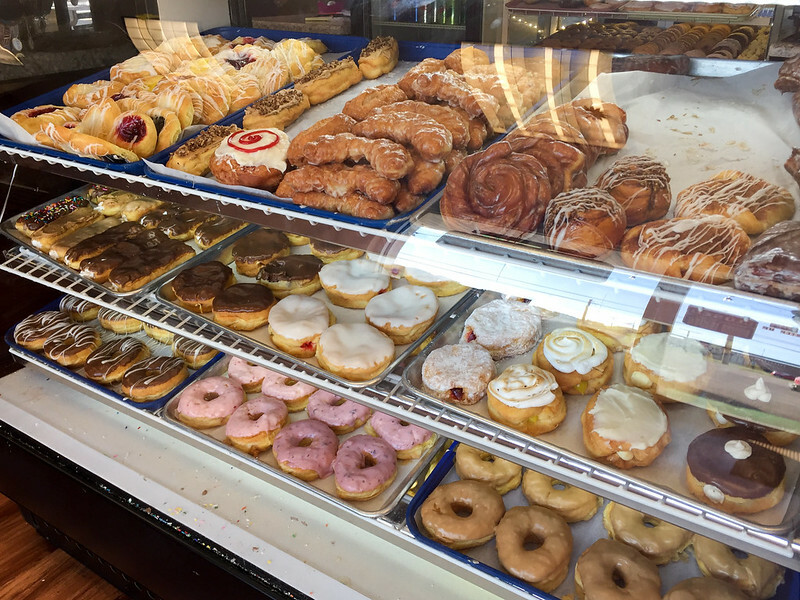 Head up in the morning and hit up a few stops on the trail (I really liked Kelly's Bakery and Jupiter Coffee and Donuts), but just be aware that many of these shops do close as soon as they sell out of fresh donuts! 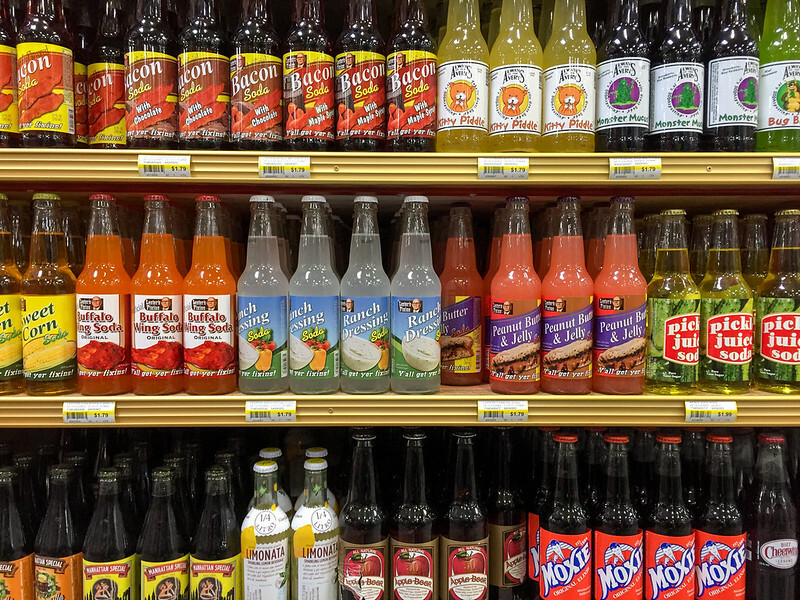 The weird soda aisle was my favorite! Google Jungle Jim's, and you'll be told that it's a grocery store. 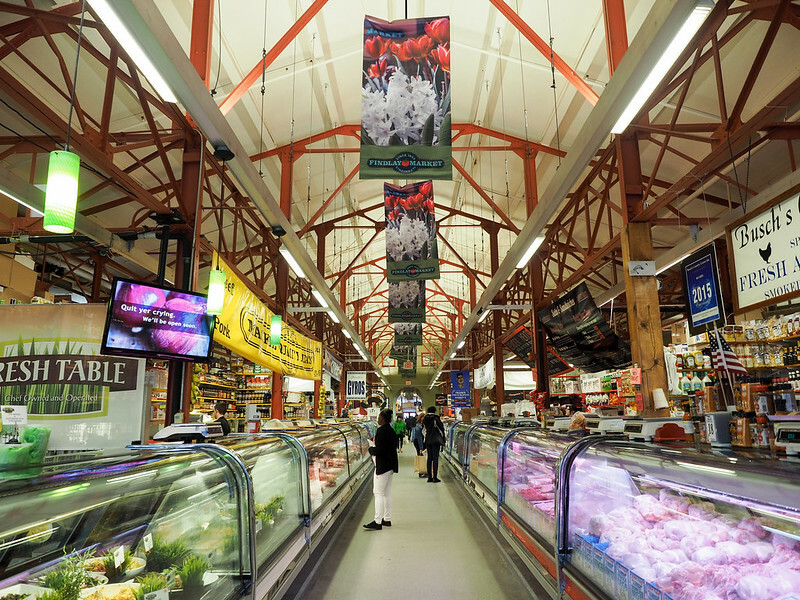 But I'm here to tell you that this 6-acre behemoth is so much more than just a grocery store! Jungle Jim's is a tourist attraction in its own right, with its funky decorations, giant cheese tower, and more than 180,000 food items from around the world. Go for the spectacle, and stay to fill up a shopping cart! The original Jungle Jim's is in Fairfield, north of Cincinnati. But they recently opened up a second store in Eastgate, much closer to downtown. 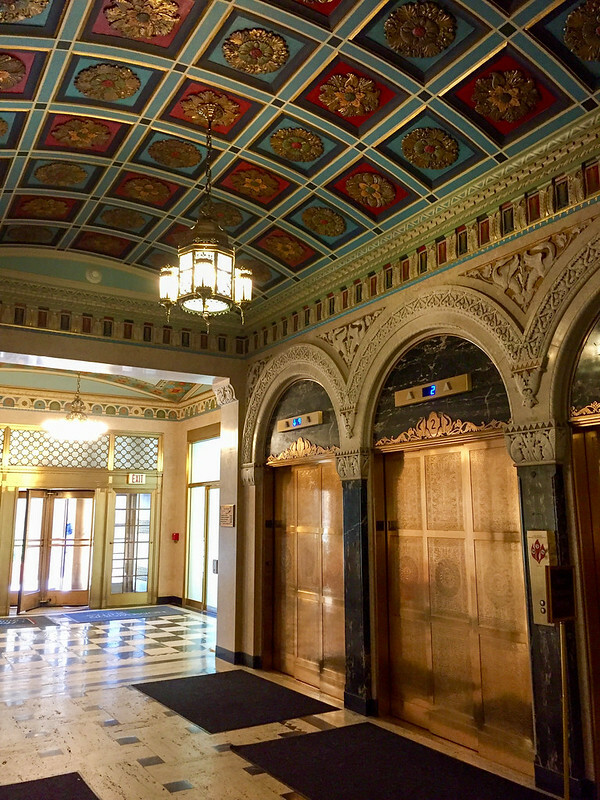 Not only is this hotel located smack dab in the middle of downtown (within walking distance of many local attractions and restaurants), but it's also located in an historic building that used to be home to the Cincinnati Enquirer. If you like historic touches along with large and comfortable hotel rooms, then this is the place for you. If you're looking for a more budget-friendly option, head across the river into Kentucky. I love the Aloft Newport of the Levee. Aloft hotels in general are modern and a little funky, and this one is also within a few steps of dining, shopping, and the Newport Aquarium. Have you ever considered Cincinnati as a tourist destination? If not, will you now? Wow! To be honest I’ve never thought of heading to Cincinnati, but that museum looks worth the trip alone! Not gonna lie – the museum was the only thing my to-do list when I first planned the trip! It’s a very good museum; definitely worth visiting! 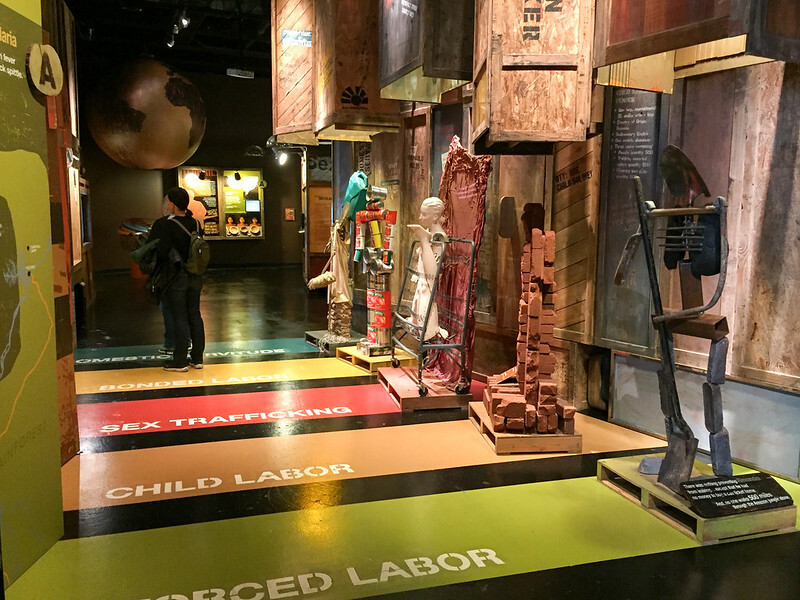 I’ve been recommending that museum to everyone now – it’s very well done and I appreciate that they focus on both historical slavery and the “invisible” slavery that still exists today! Also, don’t forget Union Terminal (Cincinnati Museum Center) is the inspiration behind the Justice League. As a native Cincinnatian, I always love to draw people’s attention to all our city has to offer. You hit the highlights, but there’s SO MUCH MORE! 🙂 I think you need to go back, Akatuki. 48 hours is not enough. Oh I definitely agree that I need to go back! What are some other things you’d recommend for a second or third trip? Also, cool historic fact about Cincinnati (that the first mural alludes to), the Cincinnati zoo housed the last known passenger pigeon in the world before (with her death) the species went extinct. There’s also a small exhibit about it at the zoo. Ah yes! I did go and look up whether Cincinnati had ties to the passenger pigeon because of that mural! I have never considered visiting Cincinnati simply because there are still so many places I need to visit in the US. National Parks come before most cities for me 🙂 It does look like a lovely city though, and I wouldn’t purposely avoid it! I totally get it! And, as an Ohioan, I feel like it’s so easy to overlook things that are close by – there are many cities in my state that I haven’t visited yet! I never thought of visiting Cincinnati before, but the neon sign museum looks so cool! Your Ohio posts have got me thinking I should make the trip south one of the times I’m visiting family in Michigan. Newport Aquarium is cool, though it’s across the river in Kentucky. I’ve not spent a lot of time in Cincinnati, but I did finally go to Kings island for the first time about 2 years ago. I’ll have to check out the other things you’ve mentioned. I have family there, so it would be fun to visit them and see more of Cincy! Ah yes King’s Island! I went there once or twice as a kid (we used to do family amusement park trips every summer). Highly recommend checking out more of the city next time! We traveled from Vermont to visit the Ark Experience and the Creation Museum and our hotel staff told us to go to Jungle Jims a we really enjoyed it. Had never heard of it before but it was great! Jungle Jim’s is so fun, isn’t it? We spent more than an hour in there. I want to go to Cincinnati to check out their famous zoo. Coming from Florida the plane tickets are fairly cheap so it’s definitely going to be an epic trip to end the year off. I’m a museum lover as well so I’ll definitely be stopping by the American Sign Museum. Very cool! Cincinnati has quite a few good museums (the Freedom Center is also very good), but the Sign Museum I think is my favorite! I don’t really know much about Cincinnati except that it’s a radio city. I think! However, the Sign Museum looks pretty interesting. Haha yes! You’re probably thinking of the “WKRP in Cincinnati” sitcom! But Cincinnati really has been a huge radio city forever. Just north of there in Butler county was one of the largest relay stations for Voice of America for decades, too! We Europeans may not know much about Cincinnati, but we know about the radio station lol! I haven’t been to Cincinnati since I was in college so this time around I am looking for new things to do and I definitely think that I will be hitting up that Donut Trail! It’s delicious! And I love it as a way to bring attention to some cool local businesses. Cincinnati is actually the first place I lived in when my family moved to the US, and I went to university in nearby Oxford, Ohio. It’s actually a really nice town and one that, I hear from friends who still live there, that has only improved in the 20 years since I left. I’d recommend anyone visit. People are friendly, the food is good (especially the chili 🙂 ), and there is a lot to see. Nice post btw, and lovely photos. And yes, my vote for Jungle Jim’s. Used to love that place!! Great to hear more positive votes for Cincinnati! It’s definitely changed quite a bit in the last years, but I’d argue that it’s been for the better! I have not been over for a couple years now, but I used to drive over to Cincinnati and spend a weekend often. It has a much more comfortable downtown feeling than many large cities. But, my main reason for commenting is the time of year. Cincinnati, or Zinzinnati, has what is claimed to be the second largest Oktoberfest in the world, after Munich of course. It starts on September 15 this year. Every time I attended, it was a wildly entertaining time. Yes, their Oktoberfest is supposed to be very good! Like many Ohio cities, Cincinnati has changed quite a bit in recent years! Cincinnati has many craft breweries. There is an underground tour where you see and learn how beer was made in the 1800s. There are other types of tours as well. There is a casino, a major league football and baseball team. A new stadium is being built for a major league soccer team also. There are so many great restaurants. There is always some kind of event or festival going on. We moved here 20 years ago and love it. So much to do! And that underground tour sounds cool.